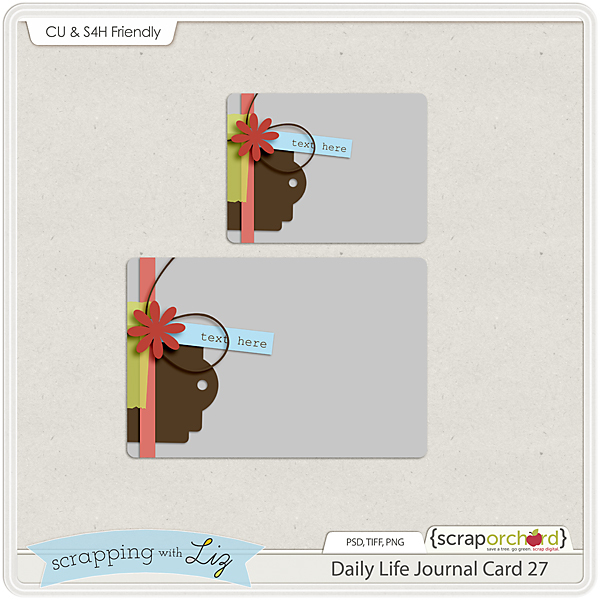 I scrapped my Daily Life Week 27 page in Beijing, China! Talk about taking your scrapping with you. The last few days of been a whirlwind. Great Wall, Temple of Heaven, Tiananmen Square, Pearl Factory, Silk Factory, Jade Factory, Forbidden City, Boat ride down the QinHuai River....I think there is more, but I can't remember it all right now! All I can think about is that we get our son in t-minus 14 hours. As you can imagine I have a ton of pictures to scrap, a ton of memories to share, and I'm sure I'll be sharing them all through scrapbook pages over the next couple of months. 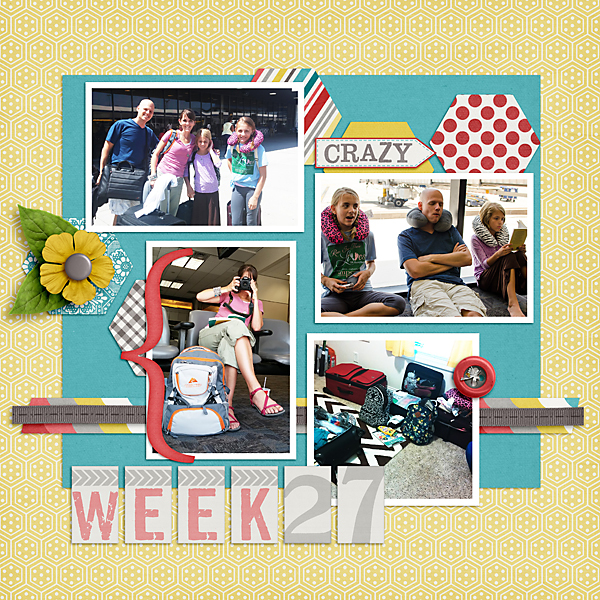 Right now my Daily Life Week 27 page is going to have to cut it. You can read the journaling from my page below. Journaling: The beginning of this week was filled with packing and preparing for China. On Wednesday we headed out. All the pics to the left are us getting reading, going and then waiting. We arrived safe and sound after about 25 hours of travel. We spent our first two days touring Beijing. 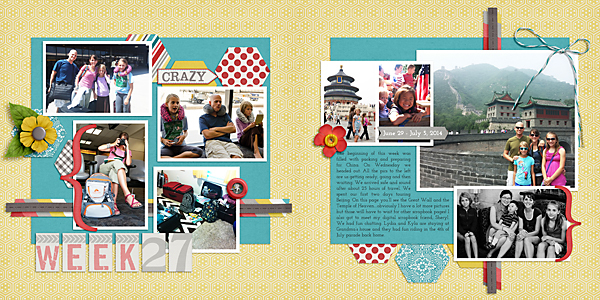 On this page you'll see the Great Wall and the Temple of Heaven...obviously I have a lot more pictures but those will have to wait for other scrapbook pages! I also got to meet my digital scrapbook friend Sherly (nietis). We had fun chatting. Lydia and Kyla are staying at Grandma's house and they had fun riding in the 4th of July parade back home. 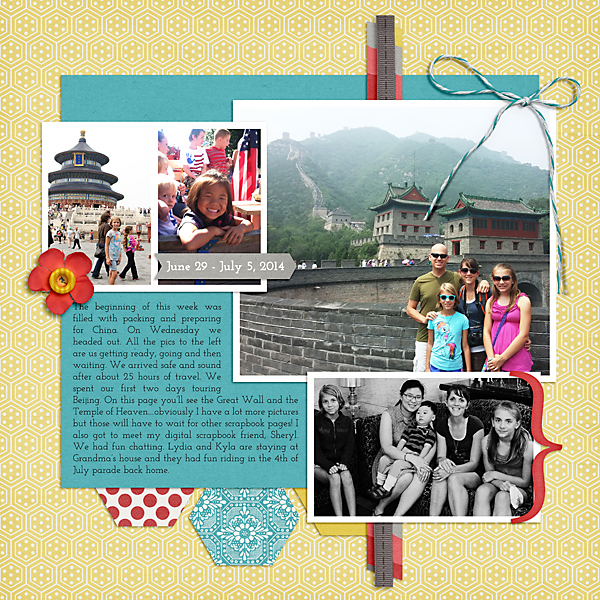 And even though I'm in China I still have a journal card freebie for you. :) Just click the picture to download. Wow!! So exciting!! Your little boy is so lucky to have a family as wonderful as you on their way to get him!! What a trip of a lifetime for your girls! How exciting to be able to go along to pick up their little brother :) Thank you for sharing this adventure with us!